If you’re worried about how you’ll plan for your retirement, you’re not alone. The good news is that you can play catch-up. Here’s how to kick your retirement planning into overdrive. Let’s be frank: Retirement saving is not easy. It requires you to save your hard-earned money, month after month, year after year, rather than spend it on something that could make your life better now. No wonder so many people can’t find the motivation to save. Get into the right frame of mind by spending some time dreaming about your perfect retirement. Try listing your retirement must-haves, or even creating a vision board to represent your retirement dreams. Then remind yourself of these goals every time you get a paycheck. This continual reminder can help keep you motivated to stay on track. Healthcare costs. It’s impossible to predict your long-term health or life expectancy, but you can look to your own history as well as your family’s. Are you generally healthy? Do chronic, expensive diseases run in your family? Inflation. Inflation means that the value of your money will decline with time. Talk to an advisor about strategies to mitigate the effects of inflation. Specific retirement plans. It’s helpful to come up with a few different plans, and a specific target number for each. How much do you need for your dream retirement, your comfortable retirement, and your frugal retirement? Other sources of income. Can you sell your home in retirement? What about taking up consulting work? If you’re far behind with retirement savings, after 50, you can increase your retirement contributions without a tax penalty. 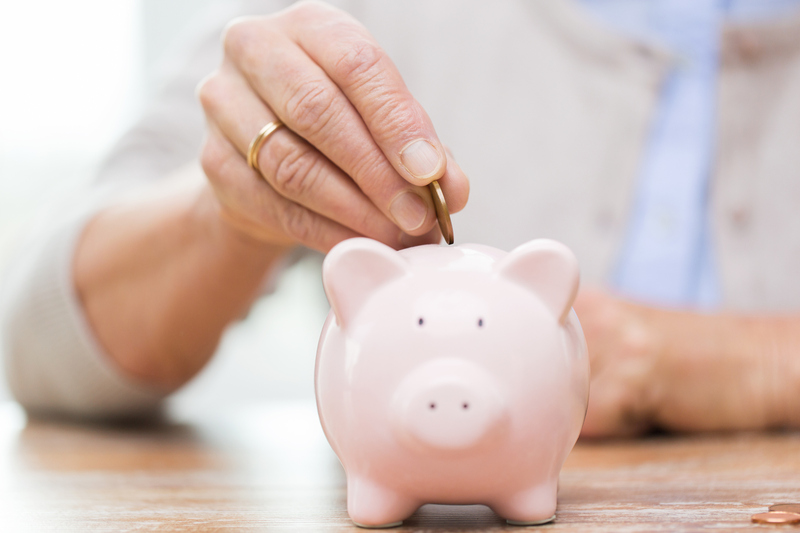 After 55, you can also increase the contributions you make to your health savings account. Ask a financial planner about specific numbers because the figures change with time. Your plan shouldn’t be a vague promise to “save more.” You need specific benchmarks that you can test your progress against and revisit. How much do you need to save per week, month, or year? If you can’t answer these questions, then your plan is insufficiently specific. Unless you get very lucky on a high-risk investment, the interest you pay on most debts — credit cards, student loans, personal loans, and auto loans — will be much higher than the interest you earn on your investments. That’s why most financial advisors recommend paying off debts before you begin saving. This might seem counterintuitive, especially to people already in a panic about retirement savings. But if you’re paying more interest than your investments earn, you’re losing money. If you’re very close to retirement, talk to a financial planner to determine which strategy is best for you. In general, however, the faster you pay down debt, the more money you’ll have to save. And once that debt is paid off, you can funnel the money that once went to the debt toward your dream retirement. There are lots of systems for paying off debt, so spend some time researching to find the one that works best with your lifestyle and personal philosophy. In general, you can save the most money by paying down high-interest debt first. Some people, however, find greater motivation in small and quick victories. If that sounds like you, then you might want to pay down smaller amounts first. Saving for retirement is as simple as deciding to put away a few dollars each week or month. Over time, that money adds up. But the extent to which it grows is heavily dependent on where you invest it. Putting money away in a savings account is unlikely to offer a big payoff. The magic of compound interest, however, allows investments to exponentially grow. Over the years, your investment can double or even triple. That’s free money. So it’s wise to choose the right combination of investments. There is no single winning strategy for every investor. A lot depends on how much you need to save, how many risks you are willing to take, and how close you are to retirement. For most investors, it's all about balancing risk and reward. Lucrative investments tend to be high-risk. So work with an investment expert to find the right balance. And no matter how aggressive you choose to be, ensure some of your money is in a conservative investment, such as bonds. Does my employer allow me to buy into a pension or long-term healthcare program? Does my job offer retirement savings matching? Can I purchase long-term care or disability insurance through my job? What about life insurance? Am I a member of an organization, such as a church or large business, that offers free financial seminars or retirement planning? We’ve all had the experience of making an ambitious to-do list and only being able to cross off a few items. Saving for retirement is much the same. Your original plan might not be doable. However, you might find that you’re actually able to invest more than you initially thought. Your finances and plans can change with time. A promotion means more money and more to invest. A medical diagnosis can necessitate having more money down the line. So revisit and revise your investment plan at regular intervals and after any major financial change. Semiannual meetings with your financial advisor can help, but don’t stop there. Spend some time every month or two assessing your goals and looking at ways to increase your savings. Ditch your daily coffee shop habit in favor of making coffee at home. Get rid of memberships you don’t use. Downgrade your cable payment if you don’t use all of the channels. Eat out just one less time per week or month. Switch from name-brand to generic products. Get food waste under control. Do you eat all the fruits and vegetables you buy? Make a weekly meal plan instead. Not only will you save money; you may also be healthier. If you’ve worked a traditional job and paid into the Social Security system, you’ll likely get Social Security payments. Although they might not be enough to cover all of your expenses, they can greatly reduce the sum total you must save for a comfortable retirement. Medicare. If you’re 65 or older, you’re eligible for Medicare. Medicare can greatly reduce your medical expenses and insurance premiums, freeing you to put that money to good use. Medicaid. Some seniors are also eligible for Medicaid. Medicaid is based on need, so if your income is very low or you are classified as “medically needy,” you may be eligible. Unlike Medicare, Medicaid will pay for senior living communities. Medicaid will also cover the costs of some in-home care programs. Veterans benefits. If you served in the military, you may be eligible for military retirement benefits such as a pension or healthcare at your local Veterans Administration (VA) hospital. If you have a very low income in retirement, you may be eligible for additional benefits, such as Temporary Assistance for Needy Families (TANF), commonly known as welfare, and the Supplemental Nutrition Assistance Program (SNAP), commonly called food stamps. One of the best ways to save money in retirement is to have predictable bills and avoid surprises. A senior living community offers luxury living at an all-inclusive price. No more surprise home repairs or sudden spikes in property taxes. Arbor proudly serves seniors of all ages, interests, and ability levels, with independent living, assisted living, and memory care options. We would love to help you plan for the retirement of your dreams. Give us a call or stop by one of our many community events to learn more.